TI Ukraine holds broad creative communication campaigns every year starting from 2014. 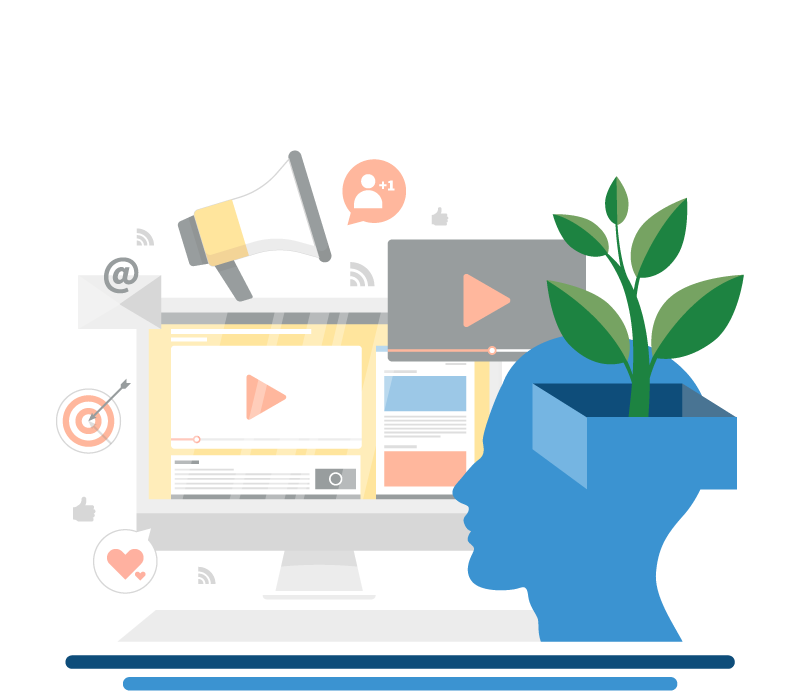 Apart from the thought-out strategy, clear objective, well-made brief and broad partnerships, social advertising also requires fearlessness to speak about problem urgently, faith in the process, intuition and a little bit of provocation. 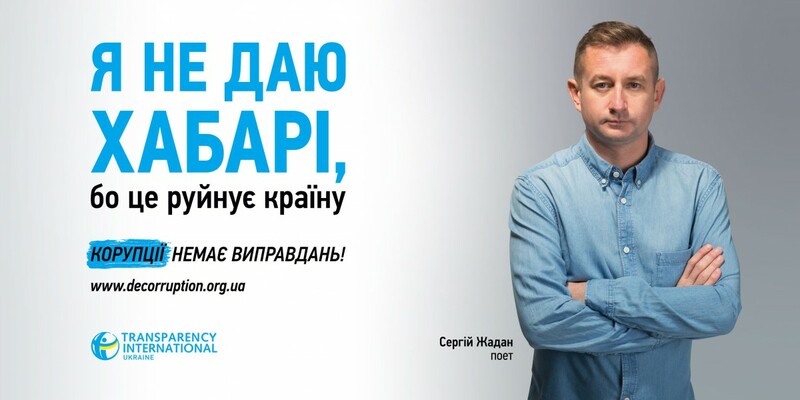 Transparency International Ukraine decided to emphasize everyone’s personal responsibility to bribe or not to bribe, ask Ukrainians why they encourage corruption and collect positive stories of people who resist to prove that there are many such people. The first wave of the campaign asked an open question though external advertising, TV and radio commercials: “Why do you give bribes?” People actively engaged with the campaign though the hashtag on social media #IDontBribe, which has collected over a hundred stories. The second wave offered answers to the question. Ukrainian celebrities – Tetiana Danylenko, Serhii Zhadan, Michael Shchur – explained their attitude to bribery from billboards. “There are no excuses for corruption,” they say. The social campaign has been supported by numerous media partners who, too, care about the issue of corruption: Ministry of Information Policy, the LIGA.net portal, Internet media outlet Ukrainska Pravda, radio Era FM, Hromadske Radio, Voice of Donbas radio, TAVR MEDIA radio group (Kiss FM, Radio Rocks, Relax, Russkoye Radio Ukraina, Melodia FM). Video commercials were broadcast on Hromadske TV and UA:Pershyi. TI Ukraine is thankful for their participation to Serhii Zhadan’s Charitable Foundation, photo studio Shoot Group Video&Photo production. All information products have been developed by PROVID creative agency. External advertising was placed in 17 cities: Kyiv, Odesa, Dnipro, Zaporizhia, Khmelnytskyi, Kharkiv, Lutsk, Kropyvnytskyi, Mykolaiv, Poltava, Sumy, Bila Tserkva, Chernihiv, Cherkasy, Rivne, Lviv. 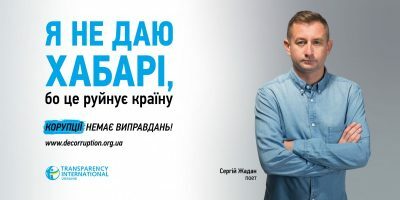 The campaign Corruption Must Be Spotted was developed in partnership with the communication agency Cheil Ukraine and included gender-specific external advertising, anti-corruption ads on the radio and comic strips. The campaign had a double meaning. Firstly, it urged to “spot” corruption and aimed at destruction of double standards, since a lot of people judge corrupt officials but don’t mind to live luxuriously for corrupt money when it comes to them. Secondly, the campaign offered to “spot” as in “soil” corruption – report it, demand inevitability of punishment for corruption-related crimes. The campaign aimed at creating public demand for real changes which would pressure the authorities. Creative and original information products have been developed by the Cheil Ukraine communications agency. The Ministry of Information Policy provided assistance with the placement of ads: Ukrainians will see more than 500 external ads around the country this year and hear original radio recordings broadcast by Lux FM, Radio 24 and the Radiogroup TAVR MEDIA (Kiss FM, RAdio Roks, Relaks, Melodiia and others). Social advertising materials have been created with the support of Magai Production, photographer Andrey Demenyuk, and Artpost. The comic strips were developed by the creators of the series of anti-corruption comic strips Uptown Chronicles. The goal of the campaign was to encourage Ukrainians to expose corruption, ensuring that Transparency International Ukraine could provide corruption whistleblowers with necessary tools and teach how to exercise the legal right to whistleblowing. Within the campaign, 180 posters and 472 citylights “They Would Not Keep Silent!” with Lesia Ukrainka, Hryhorii Skovoroad and Taras Shevchenko were placed in 19 Ukrainian cities. A short 5-second video was demonstrated in restaurants of 16 cities. Two gender-sensitive videos (about a judge and a woman entrepreneur) about the necessity to report corruption were prepared and broadcast on UA:Pershyi and Hromadske TV. The social video was run in movie theaters at the three-day festival of social advertising in December of 2015. People obtained a corruption reporting tool at anticorruption.in.ua and can find a lot of advice on reporting there, receive timely legal aid from professional lawyers, find new anti-corruption guidelines which allow to exercise their rights without corruption and fight against corruption. 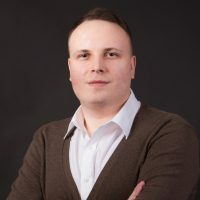 Besides, whistleblowers got an opportunity to report corruption to Ukraine and provide evidence through a supplementary highly protected channel – the website Khabardocs. TI Ukraine began a campaign challenging the stereotype that corruption is not a crime. The “Corruption Kills, Wake up!” communication campaign urged Ukrainians to perceive corruption as an unacceptable social phenomenon. The “Corruption Kills, Wake Up!” ad campaign was created together with the Cheil Ukraine advertising agency and outdoor advertising operators. Over 200 billboards in 11 Ukrainian oblasts (provinces) featured the slogans: “Corruption Depraves,” “Corruption Kills”, “Corruption Robs”. In addition, the campaign replicated the Transparency International network’s ‘Wake Up’ video into Ukrainian. The social video was shown online on Hromadske TV, Spilno TV and Espresso TV.Cinema City, Multiplex, Pravda Kino cinemas, and the Kinomedia Company streamed the video for free at their own initiative. This initiative has united both civil society representatives and portions of the commercial sector most engaged in fighting corruption. The provocative campaign sparked a debate within the society about the negative influence of corruption on citizens and the ways to counteract it. 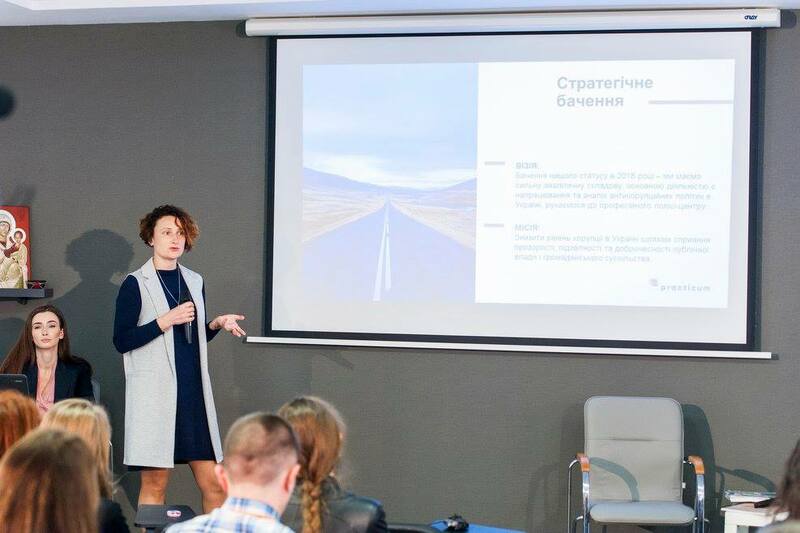 The participants addressed their concerns about corruption prevention to the anticorruption.in.ua online platform, where TI Ukraine’s lawyers published legal instructions. 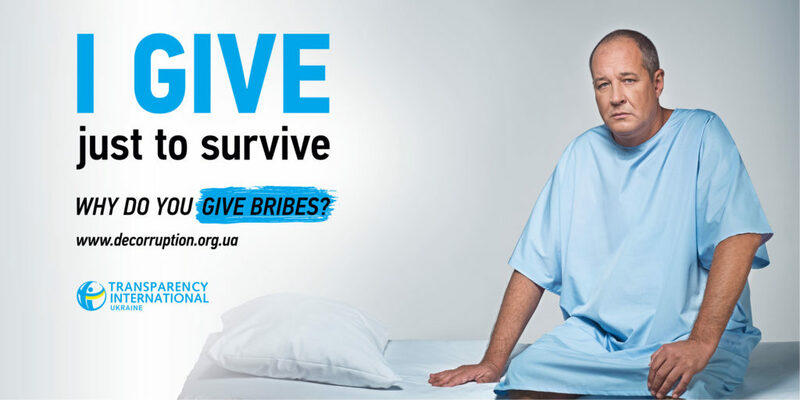 A survey has shown that 22% of Ukrainians have seen the materials of the communication campaign “I Don’t Bribe!”, with 56% assessing it positively. Potential TV audience reached by the campaign content is 11.5 million people. 406 outdoor advertising spaces were engaged. Radio commercials were broadcast 582 times. YouTube users viewed the campaign videos almost 400,000 times.